Charming comfortable Corner Cottage is 1 km from the beach. This self-catering cottage is deocrated in a warm french country theme throughout. It ihas an idyllic. warm comfortable delightful cozy feel. Private bedroom with double bed. Ensuite bathroom with shower. All linens and towels provided. Theres a large double sleeper couch and single day bed in the living-room. 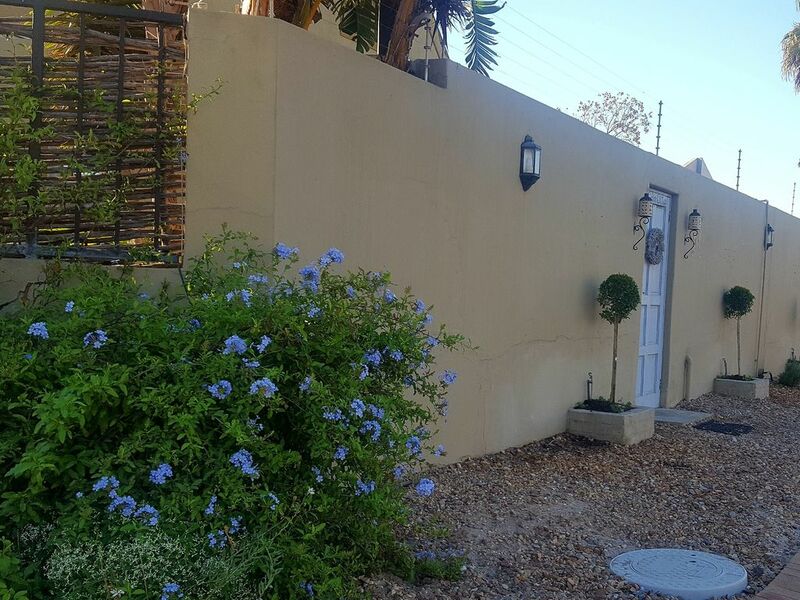 Private neat outside garden, with seating area for alfresco dinning and a weber braai. The garden is lit up by fairylights at night. Fully equipped full country style kitchen with dining area. Livingroom has a fireplace. There is a TV/DVD/WIFI. The cottage has its own USB and DVD movie library for your enjoyment. From the lounge you enter the garden area. Palm trees supply shade and tall blue plumbago hedges ensure privacy and tranquility. The cottage is close to all amenities. Within short walking distance of the local beaches, restaurants, shopping centre and bus stops. Totally private, safe and secure. A home away from home. Parking is outside the cottage with security camera surveillance. The cottage is supplied with crystal clear borehole water and so is not affected by any times of drought.